Ann Arbor is one of Michigan’s many foodie destinations, especially if you’re on the hunt for plant-based, locally sourced or whole food eats. Today, we’re rounding up a handful of the best places for meals that are good for you and, coincidentally, good for our planet, too! 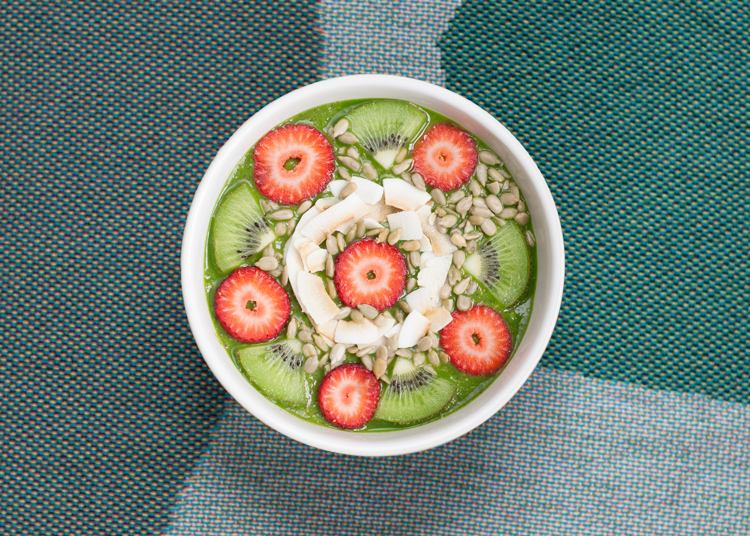 This guide includes acai bowls, poké bowls, all-vegan restaurants, gluten-free menus, locally-sourced ingredients, fruit smoothies and so much more. Enjoy! Owned and operated by the same team behind Ann Arbor’s The Lunch Room, Detroit Street Filling Station is housed in the historic building that was once the home of The Staebler Family Oil Company. Today, they’re churning out plant-based eats that make everyone, regardless of diet, love vegan cuisine. Why it’s healthy: Their menu features high-quality, vegan fare like jackfruit tacos, Carolina tempeh ribs, fried artichoke po’ boys, and more. The menu covers a range of cuisine and nutrition, but because everything is made from non-meat products, every item offers less fat content than meat and more environmental sustainability! Earthen Jar is a vegetarian and mostly vegan Indian buffet, as well as the first and only kosher restaurant in Ann Arbor. Everything at the hot buffet, the cold buffet and the dessert buffet is vegetarian and the majority are also vegan. Why it’s healthy: Thanks to the all-vegetarian menu at Earthen Jar, this restaurant is healthier for the planet and for you! Next time you need a plate of savory and spicy vegetables swing by for a hearty lunch or dinner. This local Ann Arbor restaurant is built on the ideals of wholesome, imaginative, and thoughtfully prepared food. That means this team cares about everything from the farmer to their neighbors and, of course, you! Though you can’t dine in at eat, you can order from the carry-out menu or get them to cater your next event. Why it’s healthy: From their meals, sandwiches and salads to their TV Dinners and larder items, everything at eat is prepared with sustainability and whole, local foods in mind. And because meals are made from scratch, too, they cut out many processed items, preservatives and additives. First Bite is driven by the idea of Food 4.0, which is why you’ll find the phrase featured prominently on the wall in the dining room. They believe that food must positively impact everyone involved: the producers, the customers, the First Bite team and the environment. That’s why they support local farming and sourcing from like-minded vendors and almost all of the team’s packaging is fully compostable. Why it’s healthy: Using sustainably grown, whole foods is better for the planet, our bodies and our minds. Though the First Bite menu includes delicious, sugary items like Fluffy French Toast, it also includes an impressive burger lineup: the Beet Burger, the Southwest Black Bean Burger and the Turkey Burger made with an organic house-made turkey patty. Previously called Fred’s, Wilma’s opened in 2016 with the goal of brightening, refreshing and uplifting through food. Inside their bright and modern setting, they serve a menu of both sweet and savory toasts, acai bowls, yogurt bowls, poké bowls, grain bowls, salads, smoothies, and large items like shaved ribeye and a beetroot and quinoa burger. Why it’s healthy: Everything on the Wilma’s menu is hearty, delicious and filled with both micro and macronutrients. For example, their Kale Shake has kale, avocado, banana, dates, cashews, agave and almond milk. Yum! Ann Arbor’s Fresh Forage fills the community’s need for both convenience and health as well as quick and locally sourced. The team’s ingredients are sourced from their own family farms and other local farms, and several are sustainably foraged from Michigan’s deep woods. Using 100% compostable materials, they prepare these meals rapidly so the busy people of Ann Arbor can fuel up on the go. Why it’s healthy: Using whole, local, sustainable and responsibly produced ingredients, the Fresh Forage menu gives you choices that range from sugary to savory, vegetarian to omnivorous, whole grain to meaty and everything in between. Using locally sourced produce, hormone-free chicken, and organic vegetables and grains as much as possible, Juicy Kitchen crafts meals from scratch in healthy, sustainable ways. 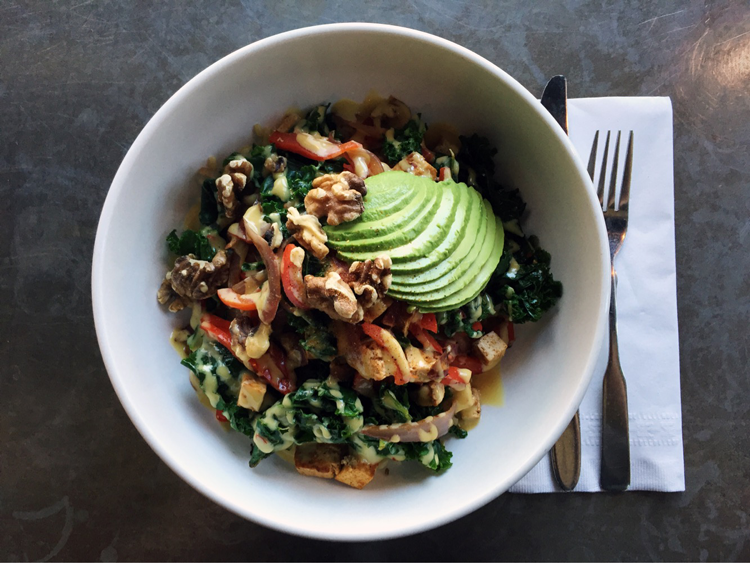 While this Ann Arbor spot is an excellent option for anyone searching for healthy food, they also cater to specific allergies, gluten-free diets, and vegans and vegetarians during both breakfast and lunch. Why it’s healthy: Scratch-made and sustainable eats at Juicy Kitchen allow for fewer preservatives and additives, and a lot more nutrients! Often referred to simply as The Lunch Room, The Lunch Room Diner & Canteen is this team’s original location in Kerrytown. Because only plant-based foods are served here, you never have to worry about the presence of meat, dairy, eggs, honey or anything processed with animal products. Why it’s healthy: In addition to being entirely plant-based, many of the ingredients at The Lunch Room are organic and non-GMO, and most items can be made gluten-free. Additionally, nearly everything is made from scratch—even the bread! 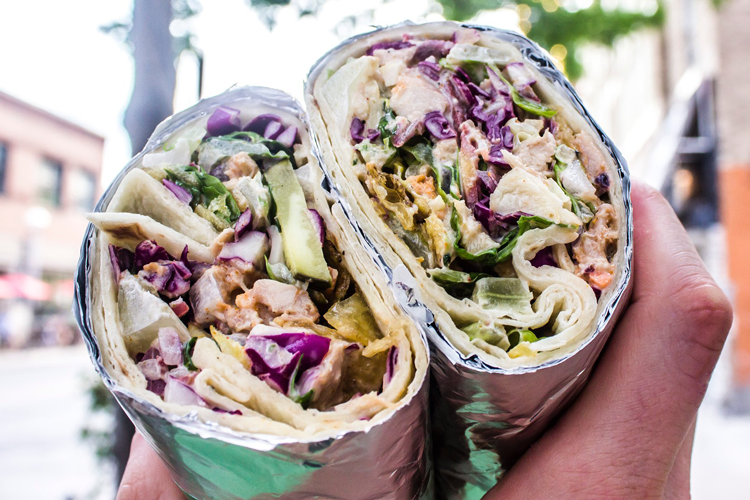 Whether you’re looking for delivery, quick eats on-the-go or sit-down meals, Pocai is the place to find healthy, carvable selections. Their menu includes acai bowls, poké bowls, vegetarian Bim Bap, toasts, salads and more. Why it’s healthy: Pocai caters to special diets including vegetarian, vegan and gluten-free. Additionally, their bowls are packed with micronutrients thanks to ingredients like kale, pickled red onions, acai berries, chia seeds, brown rice and more. Robert and Max were seniors at the University of Michigan when they discovered their dream of creating a healthy, fast-paced restaurant that would be accessible to students, visitors and townies alike. Today, they have two locations in Ann Arbor and one in Madison, Wisconsin. Why it’s healthy: The menu at S’UP is entirely made up of classic healthy meals like salads and wraps, warm grain bowls, fruit smoothies and even homemade juices and cold brew coffee! 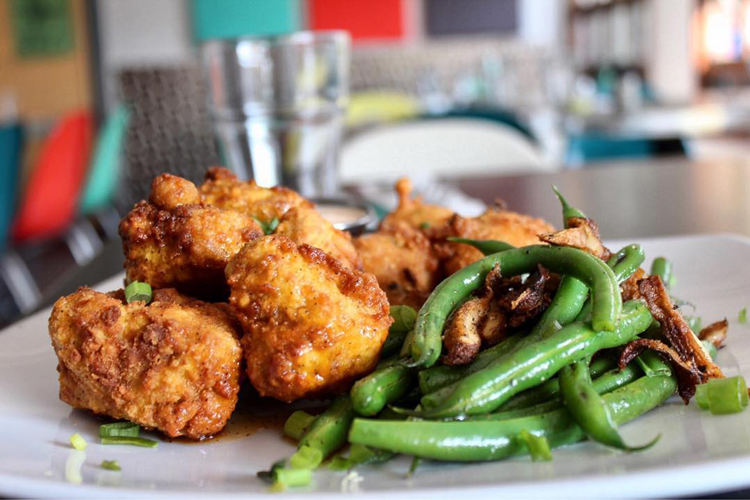 Seva has been serving outstanding plant-based cuisine in Ann Arbor since 1973. Now located in Westgate on the town’s west side, Seva offers an impressive craft beer list, entirely homemade desserts, gluten-free options and dishes that will make even carnivores love vegetarian food. Why it’s healthy: Seva offers the perfect combination of healthy and indulgent, from the fruit smoothies to the ice cream shakes and The Beyond Burger to the homemade desserts. Owned and operated by Amanda, a Registered Dietitian and a plant-based eater since 2005, Vedge Cafe is where she gets to combine her love for cooking with her passion for educating and sharing diet alternatives. 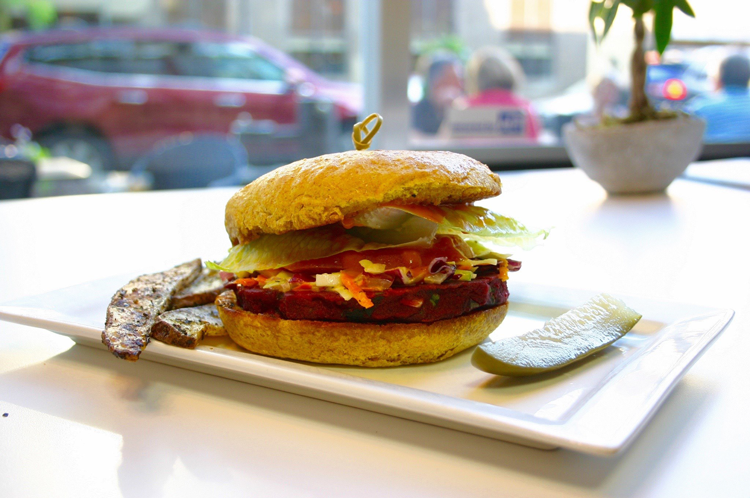 Amanda and her team offer a menu of scratch-made vegan food like Korean BBQ Jackfruit Tacos, The Vedge Stromboli with house-made dough and pepperoni seitan, Reubens and more. Why it’s healthy: In August 2018, Vedge Cafe made the move from vegan and vegetarian to all vegan which improved sustainability and created even more innovative plant-based dishes like the Vedge Stromboli! Do you have a go-to spot in the Ann Arbor area? In the comments below, tell us about your favorite places to dine out for healthy foods in Ann Arbor and in our surrounding communities.